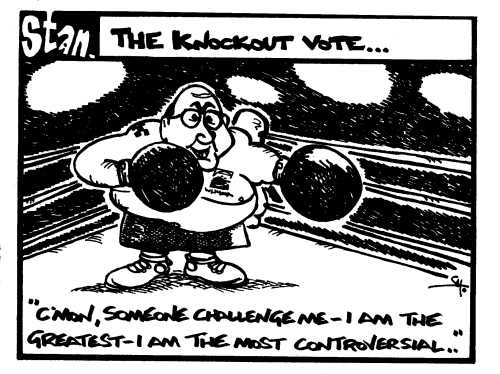 The mayoral contest in 2003 was an interesting one. Basically, three candidates put their names forward: Mayor John Smith, Dr. Crowe, who wasn’t even living in Whyalla, and Jim Pollock. Before the election Jim Pollock pulled out, although his name would still appear on the ballot papers. Despite this, Jim Pollock won the election.